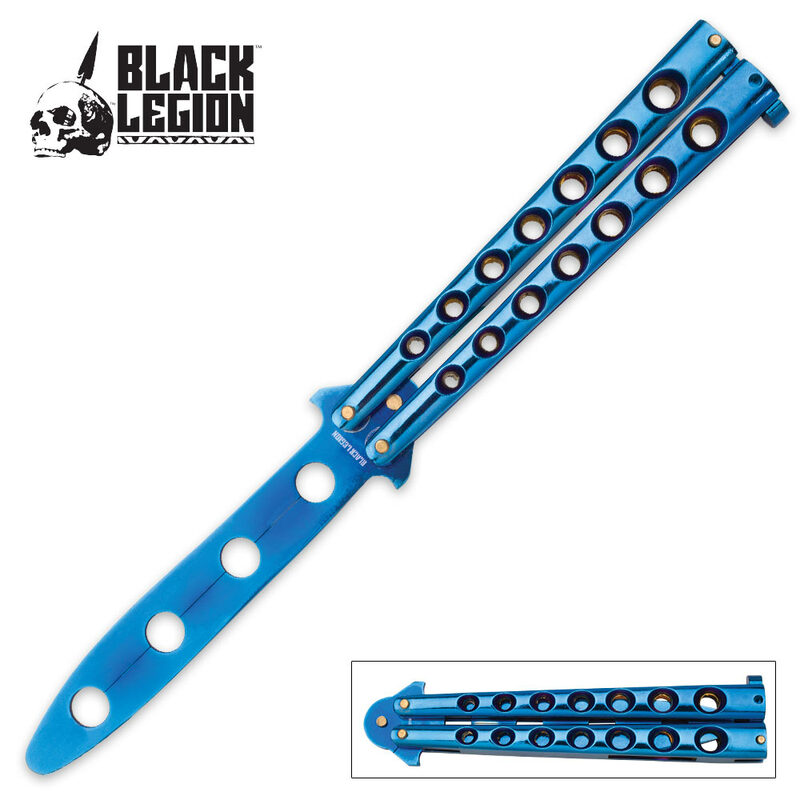 Our Black Legion Blue Butterfly Knife Training Tool looks and feels just like an actual butterfly knife but allows you to master your skills without fear of injury. It is constructed of stainless steel with a blue titanium finish and features an unsharpened edge for safety. 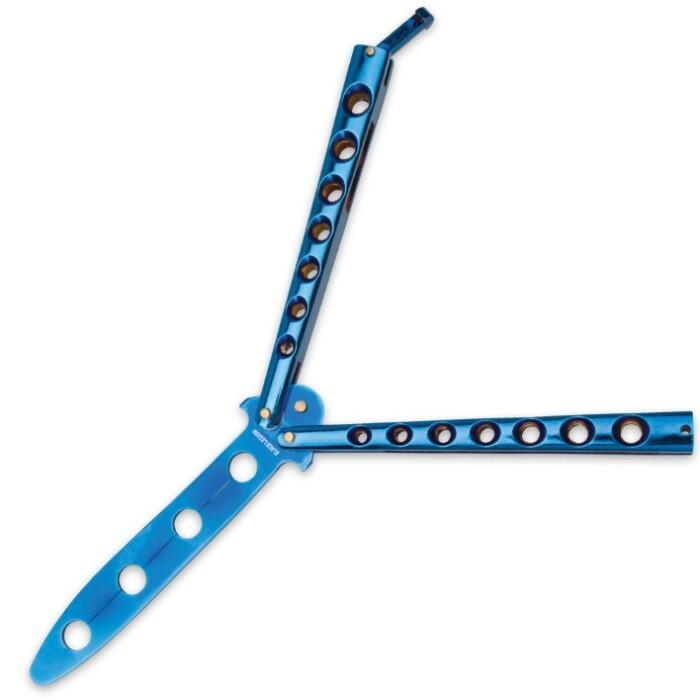 If you haven't yet mastered your butterfly knife skills, then this butterfly trainer knife is a great place to start! I bought this knife about 2 years ago and ive been training with it ever since, its been dropped, and abused since i got it and it still stays in great condition, i would highly recommend buying this trainer.